People say we eat food with our eyes first, meaning what we see visually affects how we enjoy our food. What better way to complement your visual feast with a beautiful dining table? This elegant round Chinese rosewood dining table features hand-carved patterns and six matching chairs. It’s so gorgeous you may end up eating on the floor, afraid of spilling even a little bit of food on it. Having your buddies over? They will be blown away when you clear the table after dinner and reveal a hidden pool table underneath. Please don’t mistake the steamed bun for the cue ball. Surprise your guests with a dinner invitation, then make them sit around that empty space near that picture on the wall. Surprise them a second time by magically unfolding that picture frame into a stylish dinner table! Here’s one for you nature lovers out there: a full set of rustic log-design dining table with matching chairs. Bonus points if you also decorate your interior with indoor plants. You may not actually be a millionaire, but you’ll feel like a million bucks while dining at this flagrantly luxurious polished black table with gold trim. Sometimes you just don’t have enough room for a full-sized dining table. Don’t let that stop you! 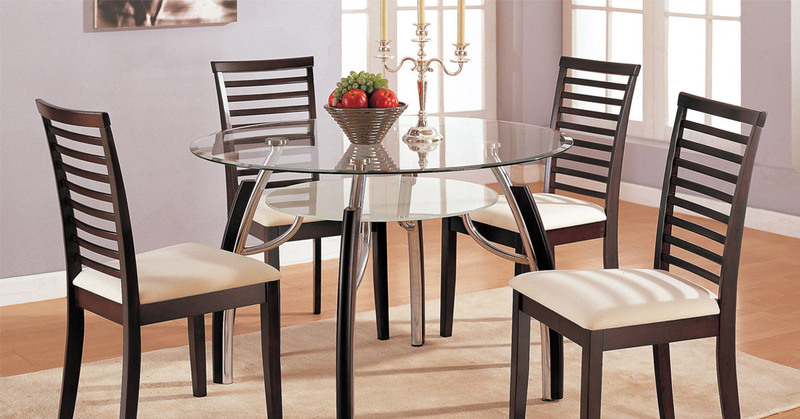 Wow your guests with this simplistic and lovely floating mini dining table. This is too beautiful there are no words to describe it properly. Let’s just say this bookcase-themed table with hidden pull-out chairs is what I’m going to be wishing for, for my next 10 birthdays. Your neighbours will definitely always want to ‘swing by’ for breakfast, lunch and dinner if you have one of these in your house. Remember: we don’t stop playing because we grow old; we grow old because we stop playing. If you prefer that 60’s diner vibe for your dining area, take a look at this classy retro corner bench style dining table. Really gives you that warm and welcoming feeling doesn’t it? Another variation on the corner bench dining table which nevertheless still manages to awe with its simplistic bare wood surfaces and orange cushions. It’s hard not to fall in love with it.